Have you ever wanted to see how your printed part really will perform? Or have you ever experienced deformation or cracking of your printed part and had no option but to simply solve it through trial and error? Then join our workshop with lunch thrown in to fire up your brains and learn all about how to optimize your 3D printing process, improve the performance of your 3D printed parts. Whilst at the same time getting a comprehensive overview of the commonly available 3D printing solutions on the market! 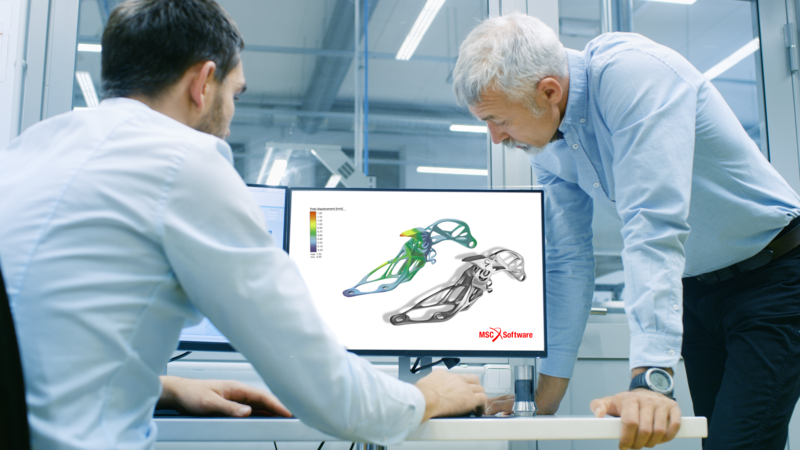 What is a Digital Twin in Additive Manufacturing? What are the solutions available? How can I save money using a Digital twin of the product and the process? How can I avoid a costly trial-and-error method and get a good quality part out of my printer? But come prepared and ask one of our experts about your particular issue. Our ‘Lunch & Learn’ workshops are aimed at a small number of participants and give you the opportunity to watch a demonstration and take part in a hands-on session exploring the possibilities MSC Software’s simulation products represent. In this workshop we will be featuring solutions for all phases of additive manufacturing from prototyping, through the production process, and finally product development. Multiple additive manufacturing techniques will be featured, with a special focus on the entire digital thread, from scanning to simulation of the final product design. 12:30 Start with lunch – always a good way to start! 13:30 What is a Digital Twin in Additive Manufacturing? 15:30 Start of first hands-on workshop for Apex + structural analysis; how does your part perform when you’ve printed it? Look forward to seeing you at our ‘Lunch & Learn’ Additive Manufacturing Digital Twin workshop?